Prior to the Clean Water Act (CWA) of 1972 there was not a national system to evaluate the quality of storm water being discharged into our streams, rivers, and lakes. The CWA prohibits the discharge of any pollutant into waters of the United States from a point source unless the discharge is authorized by a National Pollutant Discharge Elimination System (NPDES) permit. The NPDES program is designed to track point sources and requires the implementation of the controls necessary to minimize the discharge of pollutants. Examples of prohibited discharges into storm sewers include sanitary wastewater illegally connected to the storm drain system; effluent from septic tanks; car wash, laundry, and other industrial wastewater; improper disposal of auto and household toxins, such as used motor oil and pesticides; and spills from roadways. These types of illicit discharges pose a serious threat to the environment and the welfare of the citizens of our country. In 1987, Congress amended the Clean Water Act (CWA) to require implementation of a national program for addressing storm water discharges. The program was designed in two phases. Phase I required NPDES permits for storm water discharge from sources including medium and large municipal separate storm sewer systems (MS4s). In Michigan, Phase I only affected Flint, Grand Rapids, Sterling Heights, Ann Arbor, and Warren. Lansing was recently added to the list of Phase I communities. The second phase of the storm water program requires permits for storm water discharges from certain small municipal separate storm sewer systems (MS4s) and construction activity generally disturbing between 1 and 5 acres. According to the State of Michigan, MS4 is defined as pipe systems, surface conveyance systems and roadside drainage. Open county or agricultural drains are considered “waters of the state”. Automatic Nationwide Designation. Storm water operators that are located within the boundaries of a Census Bureau delineated “urbanized area” (UA) based on the latest (2010) Census information. This includes universities, highway departments, and any other operator of a storm sewer system that is located fully or partially within an UA. Urbanized Areas maps can be found here. Potential Designation by the NPDES Permitting Authority – Physically Interconnected. 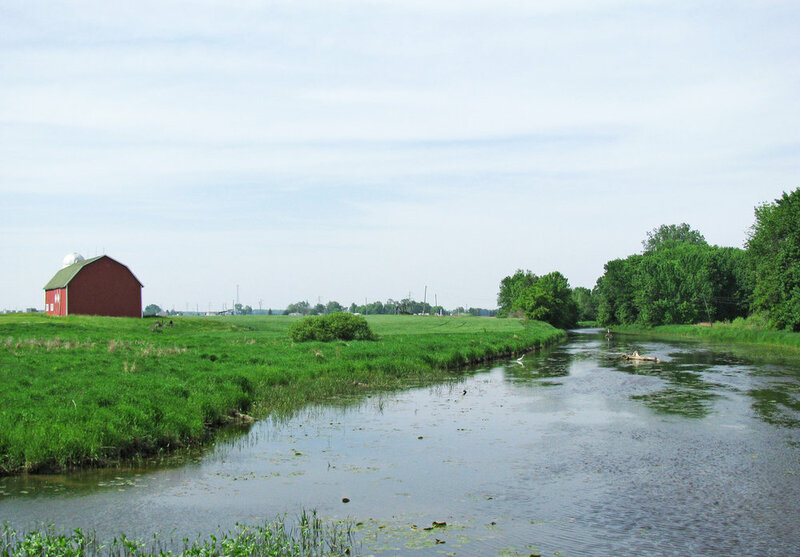 Requires the NPDES permitting authority (Michigan Department of Environmental Quality (MDEQ)) to designate any small MS4 located outside of an Urban Area (UA) that contributes substantially to the pollutant loadings of a physically interconnected MS4 that is permitted by the NPDES storm water program. Based upon the 2000 Census information, the following municipalities in Saginaw County automatically were designated as an Urban Area, and therefore were required to secure a National Pollutant Discharge Elimination System permit by March 10, 2003. Additionally, Saginaw Valley State University became a member of the SASWA based on the Urbanized Area encompassing the campus in Kochville Township. Each school district was given the option of obtaining its own NPDES permit and become a member of SASWA, or developing an agreement with the municipality in which its schools are located to operate under the municipality’s permit. If this latter option was chosen, the school district must abide by the plans developed by that municipality relating to storm water. Based on this, five (5) educational institutions opted to obtain their own permit to discharge storm water and become a member of SASWA. Carrollton Township Schools and Freeland Schools opted to use their municipality’s NPDES permit for storm water discharge coverage. Based on a lawsuit filed and won by Comstock and Kalamazoo Townships, if a township’s municipal buildings are not within an Urbanized Area and no other municipal properties with a dendritic MS4 are in the Urbanized Area, then the township is exempt. This ruling allowed James, Spaulding and Birch Run Townships to be removed from the permit list. With the release of the 2010 census urbanized area the same situation occurred for Kochville Township and a letter was provided to the MDEQ to rescind their permit. This may change in the next census of 2020. Currently, individual permits are being issued which allow for flexibility based on many different variables pertaining to roads, bridges, MS4s and other factors. This allows for school districts not to have programs in place for street sweeping and road maintenance as they do not own such structures. The same applies to a County Drain Commissioner; they are not required to have procedures in place for road maintenance or use of deicers on roads. They additionally are not required to have maintenance procedures for vehicles as the Drain Commissioner does not own and maintain those. These individual permits are now being applied for based on the MDEQ’s rotational watershed list. The Saginaw Area applied in April of 2015 for permits. The SASWA developed the applications for all members and had them submitted. On January 4, 2002, the Saginaw County Public Works Commissioner, Mr. James Koski, invited the above-mentioned communities to a meeting with the MDEQ to discuss the NPDES permit requirements in more detail. Affected communities met numerous times as a study group known as the Saginaw Clean Water Alliance, to determine the best course of action to pursue. Based upon these meetings, it was felt that an authority relating to storm water quality be established for the purpose of sharing costs. The authority was named the Saginaw Area Storm Water Authority (SASWA) and was modeled after the Mid-Michigan Waste Authority and the Northwest Utilities Authority. The purpose of the Authority is to provide guidance to participating communities and share in some of the associated costs. Each participating community is responsible for costs that do not benefit the Authority as a whole. In order to form the Authority, an executive committee recommended that each community pass a resolution of support and provide an initial deposit of $4,000. A preliminary budget was developed that included the hiring of an engineering consultant and legal counsel to help guide SASWA through the process. The executive committee and membership selected Spicer Group to serve as the consultant. Mr. David Meyer, an attorney with Smith Bovill, P.C. who also serves as legal consultant for the Northwest Utilities and Mid-Michigan Waste Authority, agreed to provide legal services to the Authority. Initially, members were concerned about the ultimate cost associated with the formation of an Authority. Again, it was the Authority member’s intention to pattern SASWA after the other successful authorities currently operating in Saginaw County. Participation with the Authority was strictly voluntary. If a community did not wish to join the Authority, they still had the ability to apply for a permit on their own. The SASWA had received a $210,000 Clean Michigan Initiative Grant to implement its illicit discharge elimination plan in 2005.This work began in 2006 and was completed in 2008.In 2009 SASWA was awarded over $30,000 in grant funds for illicit disconnections funding. Most recently in 2013, the SASWA applied for and obtained a SAW grant for $92,000 to complete the necessary paperwork for their NPDES discharge permit applications.This grant was awarded in the fall of 2016.